It’s March and we are all getting thirsty. Thank God, It’s almost St. Patrick’s Day. It’s the day we celebrate the great St Paddy of Ireland. But more importantly, it’s the day the specific part of you gets awoken, beer drinking culture in you. While it might not be everyone’s taste or everyday beer, it’s the day we somehow feel tempted to a pint of THE Irish staple drink, GUINNESS. There are so many adjectives to describe a beautiful pint of Guinness. It has a dark, roasty, smoky, earthy, malty, roasted coffee-caramel-like flavour, while being bitter, wholesome, robust, beautifully rich, silky and creamy. If you are lucky, you get a little shamlock drawn on the beautiful bubbles. The heavy profile of Guinness might feel like a meal in itself (some people say Guinness is a food category itself!) but the unique flavour of Guinness can give you an extra special beer-food matching experience. Though beers usually taste better when chilled, Guinness can be enjoyed perfectly at room-temperature as well. That’s the magic of a perfect pint. Whether you are celebrating with a crowd at the pub or with your mates at home, here comes the road to the best St Paddy’s celebration dinner, the best pairing of Guinness and food. It goes without saying that Guinness goes really well with red meat dishes, especially rich hearty comforting kind. That’s a known fact. 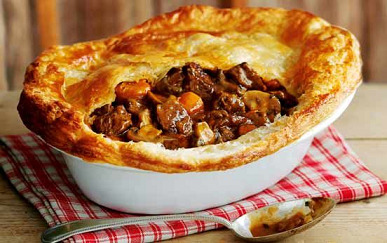 For dinner, our favourite classic dishes such as stews and pies are perfect accompaniment to Guinness. Personally, I love pairing my special pint with Steak and ale pie. This might be an obvious match nonetheless. They are SO good together! Crispy puffy pastry with succulent chunks of meat and delicious oozing gravy makes it so worthwhile. Another “pie” variety that loves the beer is cottage pie. 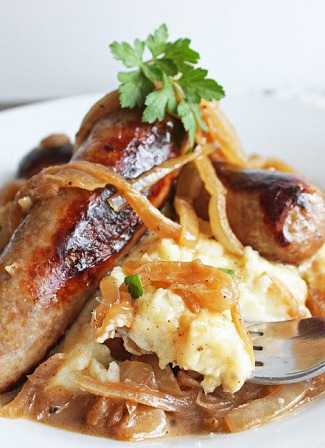 Just imagine fluffy creamy mash and generous amount of juicy concussion of minced meat and tender vegetables…every mouthful and every swig will be perfect…..The key to these meat dishes is caramelised sweet onions with seriously tender meat. It just makes sense with the caramel-like flavour of Guinness. And to make it complete, have soda bread on the side. This very Irish bread is sour, chewy, flavourful and more-ish, and goes so well with soups and stew. Or simply enjoy mouth- watering buttery tenderness of a good cut of meat, fillet steak. It is simple but simply gorgeous with butter or whatever sauce (peppercorn, coffee, red wine sauce, etc) and chunky chips. 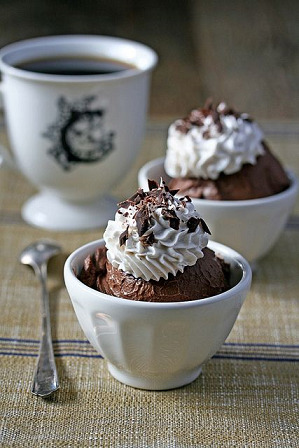 These dishes are all too familiar and might be all cliché Guinness-food combination. But the result is a very deep satisfaction…. Pork is the national staple meat of Ireland and it makes a complete sense to pair pork dishes with Guinness. If you just want some nibbles, some Pork crackling might make your night cheerful. Irish love their Pig’s Trotters. Pig’s feet right up your face might sound a little scary. But the gelatinousness of the meat is just another level! An obvious choice here is Bangers and mash. Hopefully, we don’t get faced with sloppy sausages with dull gravy! Good crisp-skin juicy sausages and creamy mash with beautiful sweet green peas would never let you down. Speaking of rich meat dishes, we can’t forget pork chops or the Irish pork stew, Dublin coddle. The stew is made with a good stock of rashers and sausages with onions, potatoes and carrots. Some people might call this stew economical stew but the stock has such a dense flavour, it definitely tastes like a gorgeously comforting stew. It’s the stew that you would want to sip through the night. Beer battered fish and chips is always good, always perfect with any type of beer, any given night. Beer makes the batter so light and crispy to make fish (whether it’s haddock, cod or plaice) the hero of the night. Be Irish for the night and try it with smoked haddock with colcannon. Colcannon is mashed potato with shredded cabbages and onions. And there is of course salmon. It doesn’t need to be anything fancy. We would be completely happy with smoked salmon on soda bread. Succulent oak-flavoured salmon and chewy flavourfulness of soda bread will keep your company this St Paddy’s night nicely. Another obvious choice is oysters. Once told that Oysters are not only a famous and typically enjoyed seafood in Ireland (there is the Galway International Oyster and Seafood Festival every year) with Guinness but also it is the best hangover cure for the night after (Just as Irish breakfast is the cure for your next-day groggy feeling. The combo of rich black pudding with fried eggs is perfect). Whether it is a plateful of half-shelled fresh oysters (on crushed ice with a squeeze of lemon) or Oyster stew, the creamy flavour of oysters burst in your mouth and goes quite spectacularly with Guinness. Nowadays Guinness is listed as an additional ingredient to many kinds of desserts, stews, sauce for marinating, and bread, and it just goes to show how well Guinness can be incorporated into our dinner. Guinness also brings out the best in spices. So try it with the nation’s pub grub favourite, Chilli con carne. The heat from spices and the richness of beans love Guinness! Or enjoy it with a good heapful of nachos with cheddar. Also, spicy sweet Jamaican Jerk pork goes perfectly with a pint due to its finger-licklingly. Speaking of sauce and marinade, there are a lot of sauces and marinade out there combining soy sauce and Guinness. So obviously some of our Oriental favourites and Guinness work together well when it is done right. Try the nation’s favourite takeout meal, stir-fried chow mein, be it with chicken, beef or prawns, it is a good match with the beer. The smooth noodles with sweet salty sauce go perfectly well with Guinness. Or combine it with Japanese slow-braised pork belly in soy and ginger. 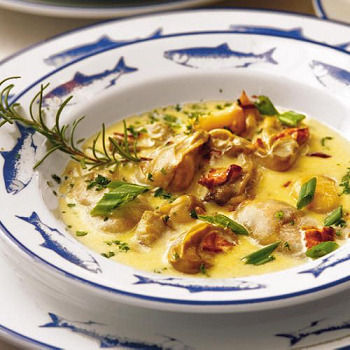 You find a similar dish in Vietnamese/Korean/Chinese cuisine and they are all amazing. Tender meat in caramel-like sweet salty sauce melts in your mouth. Is it fish you would like? Then how about fish braised in soy-sauce. 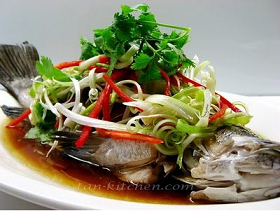 Try the elegant and succulent dish, Thai cod fillet steamed in soy sauce with bak choi. Soy flavour with right ingredients and bitter Guinness complement each other. The combination of Guinness and non- Brit/Irish foods might sound risky? Well, it is worth putting them to a test for the great Guinness-food pairing challenge. Because you know what?! The result will be pretty incredible. When you think about richness of Guinness, my thought goes to the richness of cheese. The distinctive flavour of the beer wouldn’t overpower strong aromas and flavours of cheese if you pair it with stilton, camembert and even cheddar. Get a nice variety of cheese platter to find your favourite Guinness-cheese pairings. 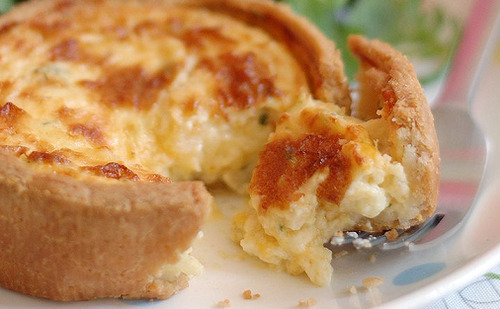 If you would like something more substantial and would like to enjoy the combination of texture and flavours, choose cheese and onion quiche (the law of caramelized onions!) or potato gratin with cheese, or simply cheese on toast (soda bread if you like). Prefer something lighter to nibble on to keep Guinness coming? Then of course there are crispy chips and salted peanuts. Salted peanuts might be all too obvious nibbles for beer but the saltiness of peanuts helps us get to the real flavour of Guinness. What’s your favourite Guinness-food pairing? 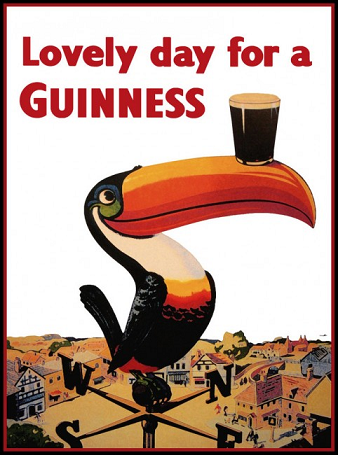 And whatever the pint of your choice is, just enjoy the spirit of the day, be green and be jolly! Just as St. Paddy’s Day is intended! Happy St. Paddy’s Day, folks!